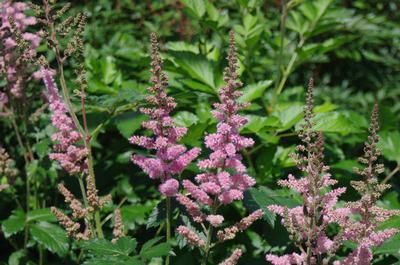 ‘Visions in Pink’ Chinese Astilbe has upright soft pink flower spikes in June and July. Because of the density of the blooms, the flower display is very impressive. 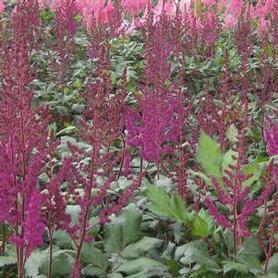 Astilbe chinensis cultivars have lustrous dark green foliage, and are more dry site tolerant than earlier flowering Astilbes. The excellent deer resistance makes this a wonderful addition to the woodland garden.